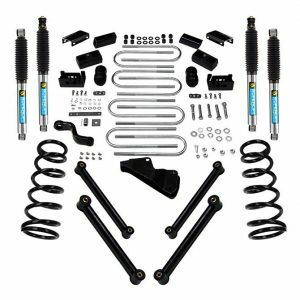 Engineered to match the strength of the 2014-17 RAM 2500 4WD trucks, these systems upgrade the factory front radius arms and offer great ride quality and handling characteristics on road while improving offroad performance and allowing 37″ tires to be installed. 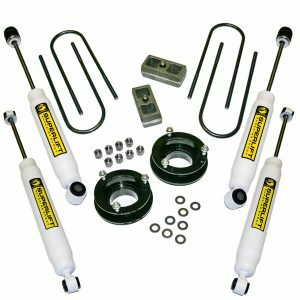 The new radius arms are a substantial upgrade to the factory stamped units and improve the ground clearance compared to drop bracket kits. The arms are fully boxed, internally gusseted and designed to bolt in the factory location while correcting the suspension geometry at 6.5″ of lift. At the frame mount, the arms utilize extra large, greaseable bushings to isolate road noise and vibrations while the axle mount is designed to retain the factory alignment cams for adjustability. 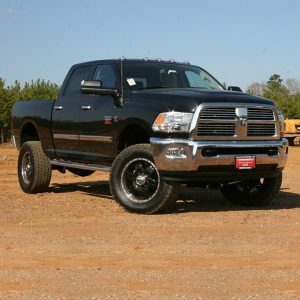 The arms are formed inward to maximize tire clearance and looks great under the new RAM HDs. In addition to the new radius arms, this system gets its height from 6.5” progressive rate front coils designed for a smooth ride for unmatched highway and trail performance. 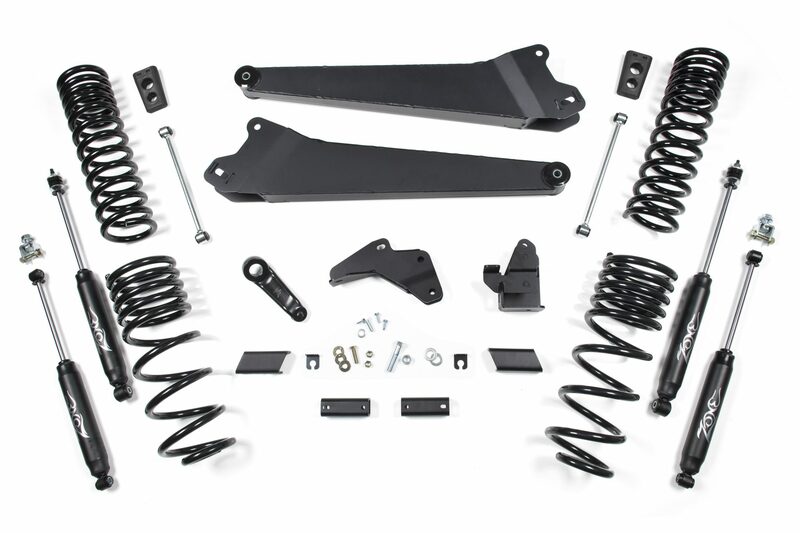 Steering correction comes from a forged dropped pitman arm and a heavy duty, fully welded front track bar bracket is used at the frame to recenter the front axle securely under the truck. 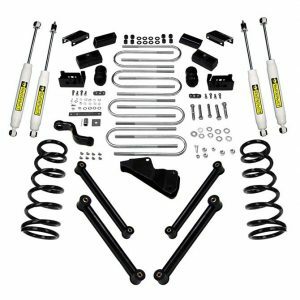 Rounding out the front of this 6.5″ radius arm system are a pair of polyurethane extended bump stops, brake line relocation brackets, and your choice of Zone hydro or Zone nitro shocks along with all the necessary hardware to complete the install. 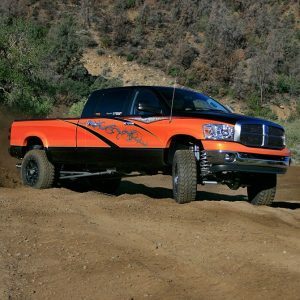 Out back the the new coil sprung rear is lifted using 4.5″ progressive rate coils designed to level the stance while offering a great ride quality on and offroad without hindering the towing capabilities. Also included are extended sway bar links, bump stop extensions and a rear track bar bracket to recenter the rear axle.